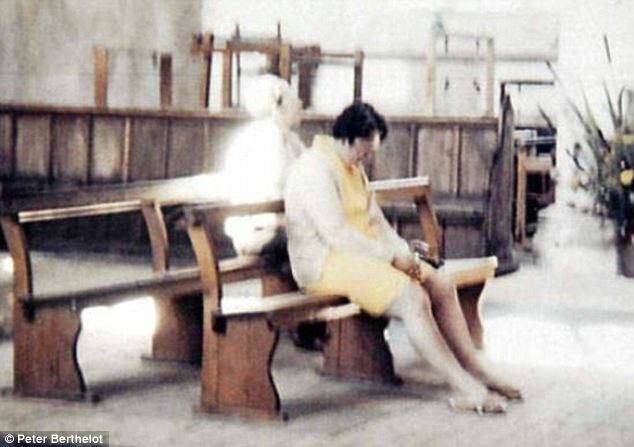 Diane and Peter Berthelot visited Worstead Church in Norfolk in 1975 with their 12-year-old son. Peter snapped a photo of his wife praying silently in the pew. Above: Blow up (decreased in gamma) reveals facial features? and hair? No trick of the light! Confused and confounded, the couple returned to the church the next year to share their photograph. The church vicar, Reverend Pettit, told the Berthelots the legend of the White Lady. The ghost, Reverend Pettit said, was known to visit people who had fallen ill, offering them comfort and healing them. Diane was shocked because when the photo was taken, she was taking antibiotics and was not doing well. Sources: About.com and MailOnline: Thanks for sharing.